Barb of ritewhileucan calls herself a paper junkie and stationary hoarder. She loves the act of letter writing and all the accessories that make this pleasurable. Barb’s blog is about her paper passion! She believes the act of letter writing allows us to connect to others in a more personal way. She hopes this act of writing will make us slow down and appreciate each moment in our busy lives. Her recent post: A fabric postcard for a teacher talks about creating a special thank you note. 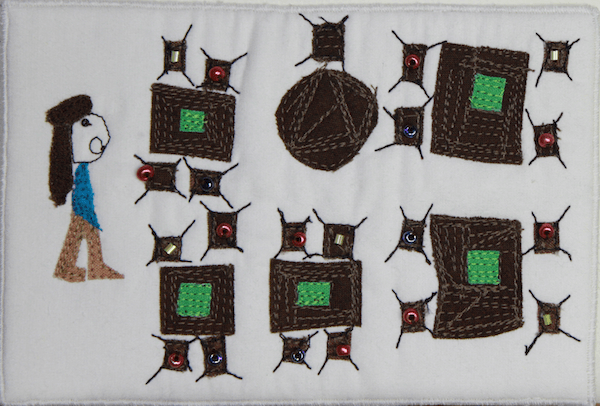 Barb wrote a lovely piece describing the quilted postcards I’ve created for my son to give to his teacher. At the end of the school year, he gives this truly personal gift in appreciation of their year together. This is a tradition I began when he was in junior kindergarten. 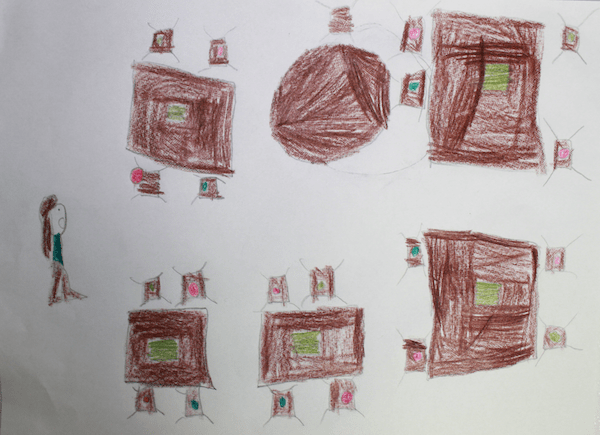 He draws a picture reflecting what he loves about his teacher and classroom. 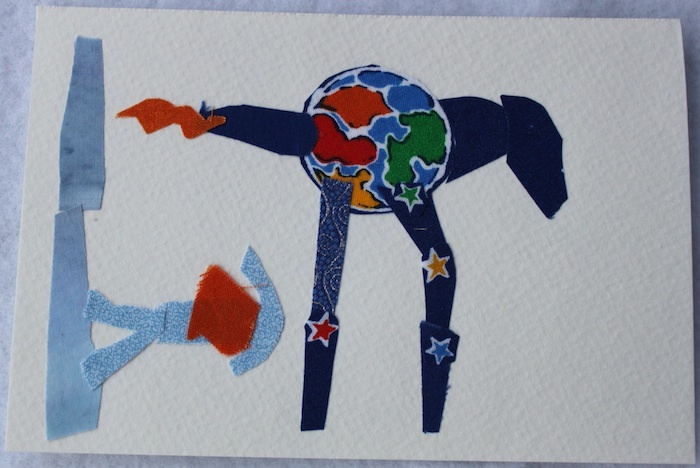 I take that image and recreate it in a 4” x 6” fabric postcard. On the back, I record the name of the teacher, school, the year and a note with my son’s name, grade and description of the drawing. This quilted postcard is made like a miniature quilt that is pieced and fused, layered with backing and batting then quilted. Once this ‘quilt’ top is completed, it is trimmed to size. 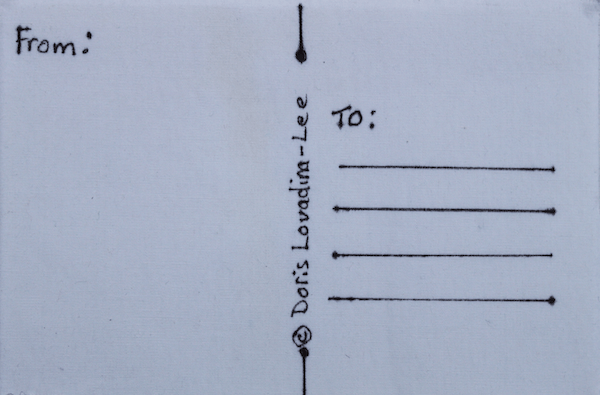 A firm interfacing is fused to a piece of white fabric that is then stitched to form the back of the postcard. The teachers treasure these miniature pieces of art. They are lovely mementos of your child and their year together. If you are interested in creating a simpler version go to ritewhileucan and look at the step by step directions for making a fabric postcard on cardstock. This is a great way to send a personalized gift to someone you care!